← VOTE FOR YOUR VEGAN NEIGHBOR!! 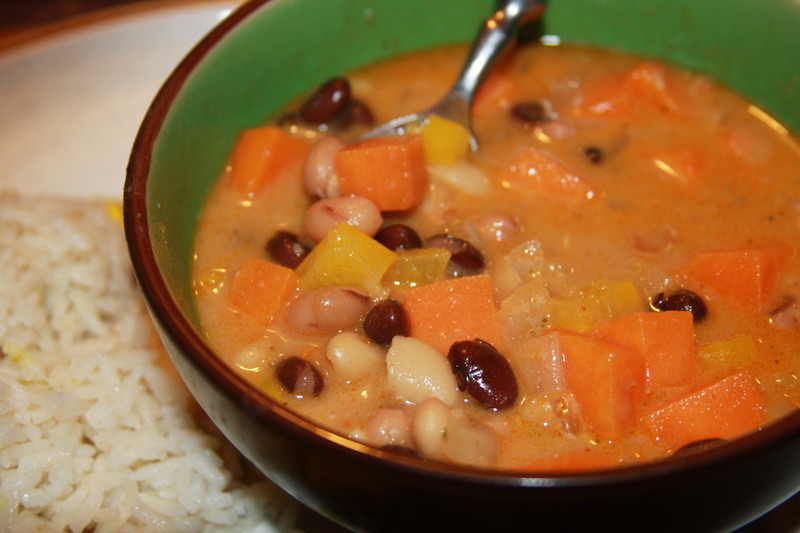 This entry was posted in beans, fall, gluten free, soup & stew, Vegan, winter and tagged african bean soup, african sweet potato soup, gluten free, healthy cooking, peanut butter in soup, soup & stew, sweet potato soup, Vegan, vegetarian. Bookmark the permalink. Next time I may try using less broth and adding a can of coconut milk! 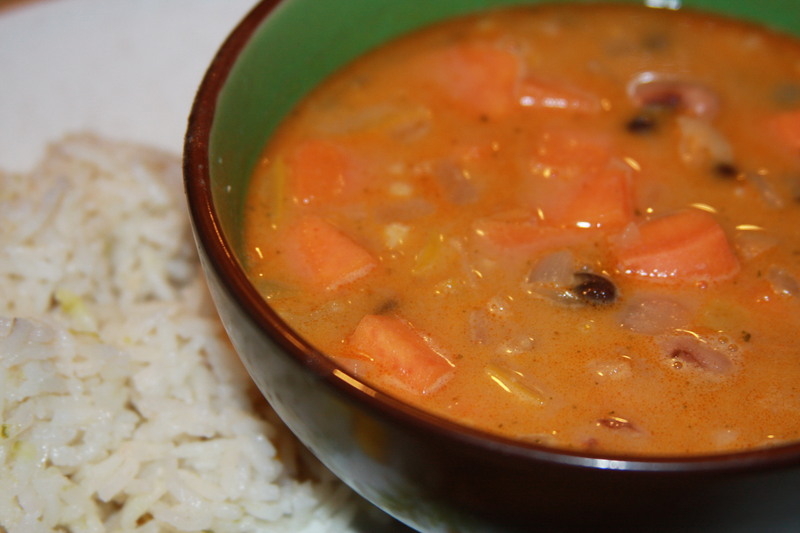 I absolutely love the flavor coconut milk adds to any dish!